Like those of so many great leaders, Aldo Leopold’s vision and actions were shaped and supported by his family life. He met his wife Estella while working for the U.S. Forest Service in the Southwest. They had five children, all of whom went on to their own prestigious careers as conservationists and scientists. Born in Santa Fe, NM, Estella Bergere Leopold was a cultured woman of many talents. Her father was a concert pianist and her mother was a descendant of a Spanish land grant family that included the Duke of Albuquerque. Estella was a schoolteacher in New Mexico when she met Leopold, and they were married in 1912. They had their first four children in New Mexico, and their fifth after moving to Wisconsin in 1924. Mrs. Leopold shared her love of classical Spanish music with her family, teaching them Spanish and Cuban folk songs that Leopold family descendants still sing together today. Also a skilled outdoorswoman, she was Wisconsin’s woman archery champion five years in a row. In 1973, Mrs. Leopold received an honorary doctor of science degree from Northland College. She passed away in 1975 at the age of 84 in Santa Fe, NM. A wildlife biologist, Starker Leopold was well-respected for his contributions to the fields of wildlife conservation, education, and public policy. The oldest of the Leopold children, Starker was also a professor at the University of California, Berkeley, for more than 30 years. 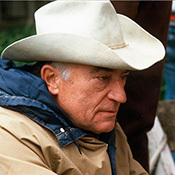 Starker authored more than 100 scientific papers and five books during his career in the fields of ornithology, conservation, and wildlife management. In 1963, he published the Leopold Report (officially, Recommendations for Wildlife Management in U.S. National Parks), the first plan for managing the parks’ visitors and ecology together. He was elected to the National Academy of Sciences, and received many other awards including the Department of Interior Conservation Award, the Aldo Leopold Medal of The Wildlife Society, the Audubon Society Medal, the Browning Medal of the Smithsonian Institution, the Fellows Medal of the California Academy of Sciences, and a Distinguished Service Award from the American Institute of Biological Sciences. 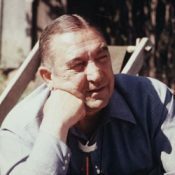 Starker died in August 1983 at the age of 70, at his home in Berkeley, CA. Luna combined his training and expertise in engineering, meteorology, geology, and hydrology to help develop the field of fluvial geomorphology – the study of how rivers are shaped by their surrounding landscapes. Luna worked for the Soil Conservation Service and U.S. Geological Survey before joining the faculty of the University of California, Berkeley, in 1972. In all, he authored some 200 articles and books, many of which remain widely used in teaching and fieldwork today. His achievements were recognized during his lifetime with many prestigious awards and honors, including the National Medal of Science, and the Penrose Medal of the Geological Society of America. He was elected to the National Academy of Sciences, and as a fellow of the American Academy of Arts and Sciences. He was also awarded the Benjamin Franklin Medal in Earth and Environmental Science, posthumously, in 2006. He died in February 2006 at the age of 90, at his home in Berkeley, CA. Nina is remembered as a scientist, conservationist, philosopher, and humanitarian by an international community of colleagues. Nina was deeply connected to the Leopold Shack and Farm. She was senior author of a 1999 study published in the Proceedings of the National Academy of Sciences that analyzed decades of phenological records that she and her family kept on the property. The findings suggested how climate change was affecting the region and its native ecosystems. She and her second husband Charles Bradley also built the Bradley Study Center on the Leopold Reserve in 1976. It became a hub of ecological research conducted in cooperation with the University of Wisconsin. The work of Nina and Charles was also instrumental in establishing the Aldo Leopold Foundation itself and in constructing the Leopold Center. Nina died at age 93 in May 2011, at her home in Baraboo, WI. Carl was a well-known plant physiologist whose 1964 book, Plant Growth and Development, became a classic textbook. He was also a prominent and eloquent spokesman for his father’s philosophy of a land ethic, incorporating it into his own writings, lectures, and work at the Tropical Forestry Initiative and the Finger Lakes Land Trust. Carl published some 200 scientific papers and five books on plant physiology. He was elected president of the American Society of Plant Physiologists in 1996, and awarded an honorary Doctorate of Agriculture from Purdue University. He also received two awards from the Royal Galician Academy of Science in Spain. Carl took hundreds of photographs with his father’s camera during the family’s years at the Shack, a rich photographic archive that visitors still enjoy. Carl passed away at the age of 89 in November 2009, at his home in Ithaca, NY. Estella Leopold is a University of Washington professor emeritus of botany, forest resources, and quaternary research. She has been teaching and conducting research for more than 60 years. The author of more than 100 scientific publications in the fields of paleobotany, forest history, restoration ecology, and environmental quality, Estella pioneered the use of fossilized pollen and spores to understand how plants and ecosystems respond over eons to climate change and other phenomena. Her work at the Florissant Fossil Beds in Colorado made the case for their preservation, an achievement which led to Estella’s receipt of the prestigious International Cosmos Prize in 2010. She was elected to the National Academy of Sciences in 1974. Estella serves on the board of the Aldo Leopold Foundation as a lifetime director. She lives in Seattle, WA.